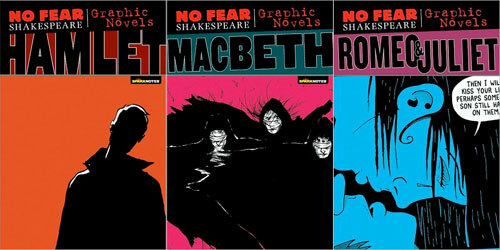 In the spirit of Chris’s ranty ranty post, here: SparkNotes’ line of No Fear Shakespeare graphic novels is actually really awesomely good, and none of the artists are credited on the front cover, only on the back cover, which is laaaame. Hamlet by Neil Babra is my favorite, but Macbeth by Ken Hoshine and Romeo & Juliet by Matt Wiegle are also solid. All three creators deserve way more critical attention. Neil Babra’s done an outstanding job with this one. 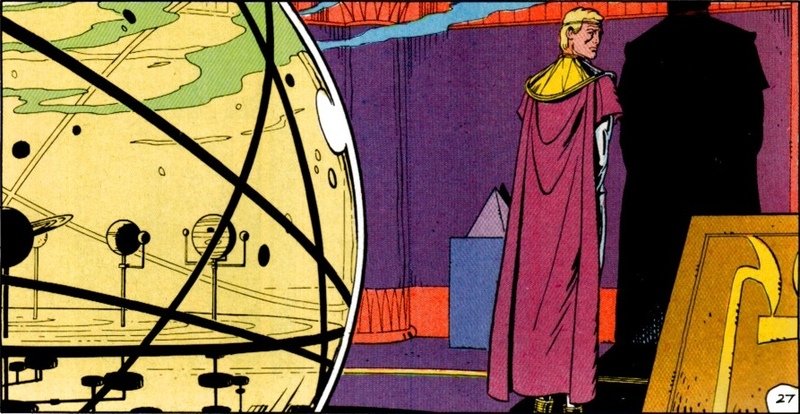 His character designs, graytones, page layouts are all superb. The characters’ “acting” is strong, the pacing works well, and (most impressively) the script is a hybrid of Shakespeare’s original and SparkNotes’ dumbed-down “translation,” capturing the best features of both (and leaving Shakespeare’s best lines undamaged). Note also the fantastic frontispieces drawn by Babra for each act – each one a masterpiece I’d be proud to hang in my house. Hats off to Babra for taking a project that could easily have been phoned in (SparkNotes? Seriously?) and knocking it out of the park. This is a fine graphic novel. Author Jonathan Lethem talks to Jim Fleming about his “Harper’s” Magazine essay, “The Ecstasy of Influence: A Plagiarism.” As the subtitle indicates, Jonathan Lethem appropriated the words of many authors to cover the subject of plagiarism, although he provides full attribution of his sources at the end of the essay. Also, Paul D. Miller (aka DJ Spooky, That Subliminal Kid) talks to Anne Strainchamps about his book, Rhythm Science, and how the art of music sampling relates to plagiarism. We also hear a DJ Spooky/TTBOOK interview mashup. The Lethem essay is online: here. I remember hearing about it but never read it all the way through till now; it’s astonishingly good — a fantastic summary of today’s cultural moment. Am Ende ist alle Poësie Übersetzung. In the end all literature is translation.